The Contract Summary pages with upgraded plans (Gold and Platinum) have access to obligated spend charts for not only one of the participants of the same prime contracts but other participants as well. 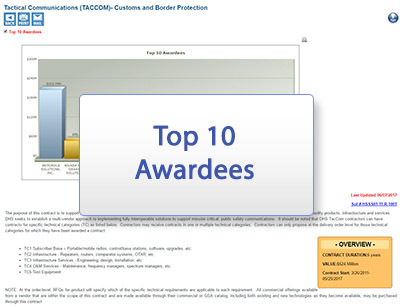 When multiple award contracts are released (MAC contracts), EZGovOpps will present the secondary spend chart of obligated totals to date for each awardee. 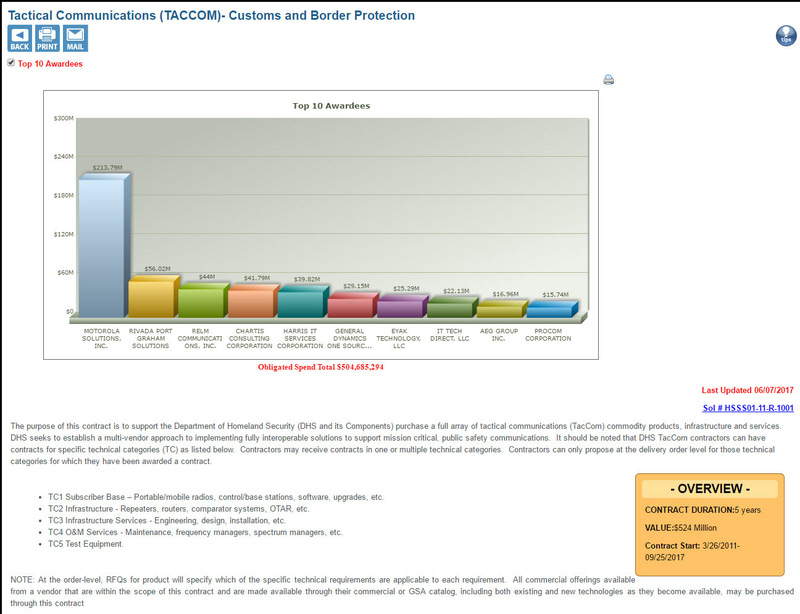 The printing and emailing of these specific charts are also available for the higher level plan holders. 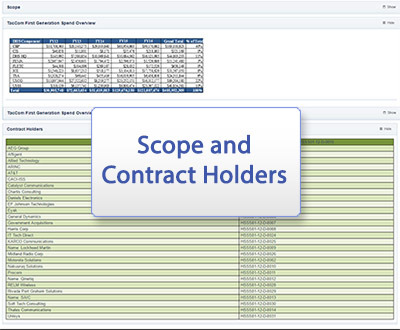 When viewing GWACs,schedules and/or high-level IDIQ’s, EZGovOpps provides the MAC obligated spend view through a specialized “Program Overview” button on all the related contracts. 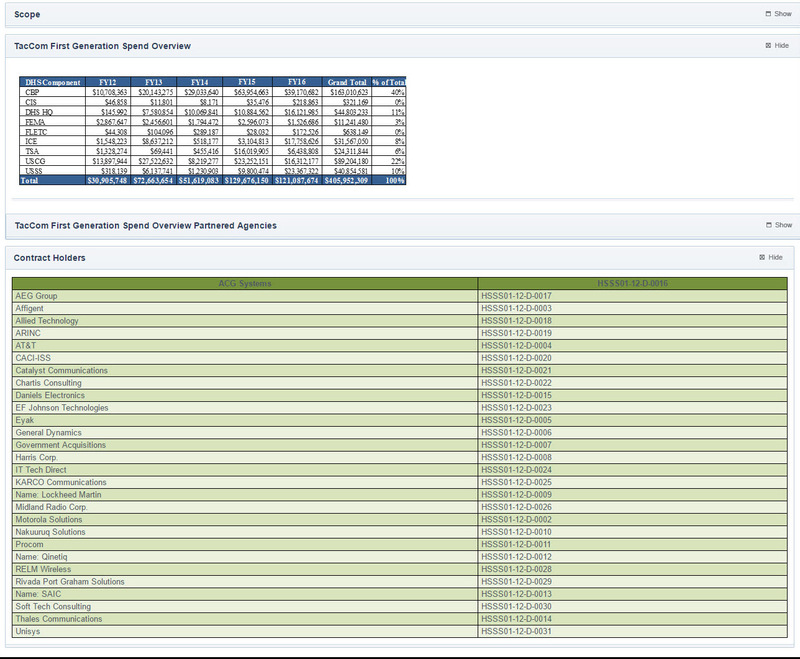 This access provides an extensive overview of those specific GWACs, schedules and/or high-level IDIQs with the ability to track the task orders/actions for any of the participants.